“Toy World” Highlights New Jersey’s Rich Industrial (and Fun!) History - October 15, 2016 - April 30, 2017 ~ The History Girl! 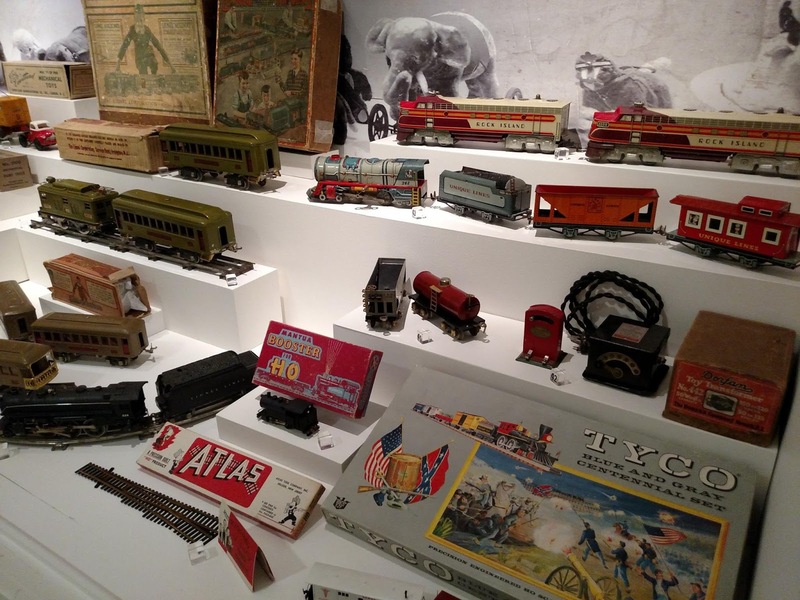 Step back to another era and enjoy a bit of nostalgia with the New Jersey State Museum and its latest exhibition “Toy World,” spotlighting the history of toy manufacturing in New Jersey. The exhibition runs from October 15, 2016 to April 30, 2017 and will showcase more than 100 toys that were made in New Jersey between 1880 and the late 1960s, during New Jersey’s golden era of manufacturing. Among the featured toys are the ubiquitous green army men; the first “talking” doll, created by Thomas Edison; the classic hand shake gag, the joy buzzer; Colorforms playsets and more, all developed and produced right here in New Jersey. The exhibition also includes an interactive play area and a place to remember a favorite childhood toys. “Toy World” is made possible in part through support from the New Jersey State Museum Foundation. For more information visit www.statemuseum.nj.gov. New Jersey was a pioneering center for the toy industry, and was home to more than 50 different companies that produced everything from tinplate toys to model trains. Two of the top four tinplate toy manufacturers were located here. New Jersey was also home to numerous model train makers, including Lionel, Beggs, Dorfan, Mantua and Tyco. After World War II, the state perfected the development and use of plastics in toy manufacturing. By 1950, New Jersey was producing one tenth of the nation’s toys. Only four states made more toys than New Jersey. 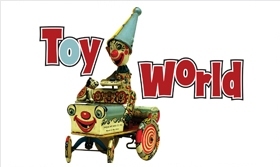 “Toy World” will be on view in the Riverside Gallery on the Museum’s second floor. The Museum is open Tuesday through Sunday, 9:00 am to 4:45 pm, closed on all State holidays. Additional information about the Museum, exhibitions and programs can be found on the Museum’s website www.statemuseum.nj.gov. As a center of cultural, educational and scientific engagement, the New Jersey State Museum, a division of the New Jersey Department of State, inspires innovation and lifelong learning through its collections, research, exhibitions and programs in science, history and art. The Museum fosters state pride, serves as a cultivator of tomorrow’s leaders, and engages visitors of all ages and diverse backgrounds in an exploration of New Jersey’s cultural and natural history presented within a global context. Located at 205 West State Street in Trenton, the Museum is open Tuesday through Sunday from 9:00 am to 4:45 pm; closed Mondays and all state holidays. The Museum has a suggested admission fee of $5 for adults and $4 for seniors and students with valid ID; children 12 and under are free. Admission fee revenue supports the Museum’s collections, exhibitions, and programs. The New Jersey State Museum Foundation was founded in 1968 as a non-profit 501(c)(3) to support the Museum's collections, exhibitions and programs through fundraising, volunteerism, advocacy and marketing. In recent years, the Foundation has received generous support for the Museum’s exhibitions and programs from the National Endowment from the Arts; the New Jersey Historical Commission, a division of the NJ Department of State; NJM Insurance Group; and the PNC Foundation. The Foundation also operates a gift shop featuring merchandise related to the Museum's exhibitions, programs and New Jersey history and culture. Proceeds from the Museum Shop support the work of the State Museum.